Here’s how 5G and IoT will affect NFV deployments. Network functions virtualization (NFV) offers many benefits like scalability, flexibility and a relatively lower cost, but deployments are often complex and time-consuming, and significant management and orchestration challenges remain. There is hope, though. NFV deployments are expected to accelerate as more organizations implement IoT and wireless 5G, since 5G networks often require a radically different architecture that includes NFV and container technologies. 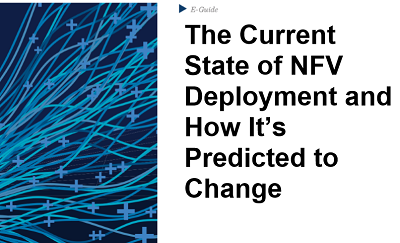 Read this expert guide to hear more from network expert Lee Doyle on the status of NFV deployment and how 5G, IoT and other new technologies will drive future change.